Our Weber County appliance repair experts at Famous Appliance Service are held in extremely high regard by their peers because of the quality of the results they deliver. Every Famous Appliance Service technician is highly-skilled and experienced, and is constantly tested and trained to ensure they are on the top of their game. The appliances that we use make our daily lives much easier, and when they break down, it can be a serious inconvenience. We keep replacement parts in stock for many of the most commonly used household devices. This keeps our repairs as quick as possible. In many cases, we are able to provide same-day appointments. We have experience dealing with damaged washing machines, dryers, dishwashers, microwaves, refrigerators, ovens, ranges, and freezers. 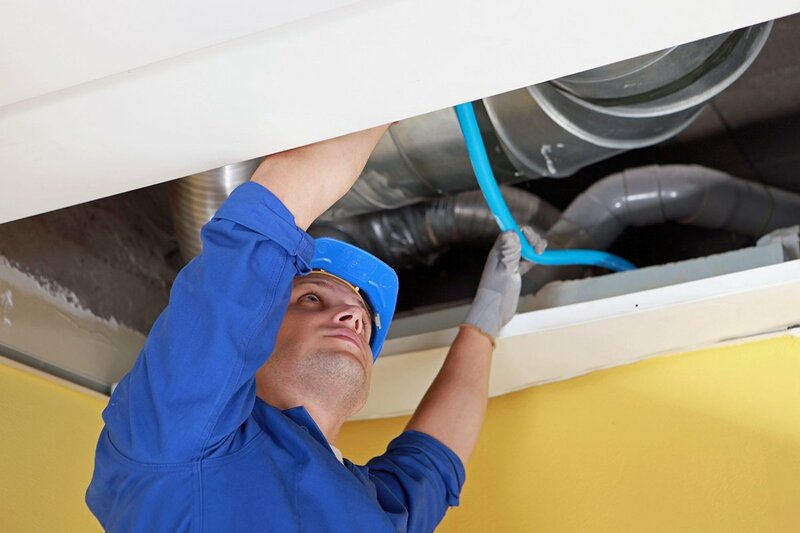 Apart from all of these services, we also provide some of the most affordable duct cleaning services in the city. Duct cleaning is especially important in commercial buildings because the large air conditioning units that provide ventilation are exceedingly expensive. Keeping the ducts clean and free of obstruction extends the service life of all of the ventilation components. Less power is used when the AC units are running more efficiently, and there is less allergen in the interior spaces. People are generally unaware that there may be a tremendous amount of debris build up in their vents. Our customers that have their vents cleaned are presently surprised when they receive their power bills. Freezers and refrigerators are often overlooked, but they have revolutionized the way we eat and store food in our home. Before refrigeration, storing food was very difficult, and needed to be treated with preservatives or eaten immediately. When these appliances break down, it is often a serious disruption to you and your family’s eating habits. When this occurs, there is often only a few hours of time to act before the food inside will spoil. This can make a costly repair even more so. If you have any questions regarding any of the services we provide, please do not hesitate to call us. Customers with built-in appliances stand to save the most money from our services. These models are often many times more expensive than their stand alone counterparts. When one of these devices breaks down, we recommend having it inspected by one of our professional technicians to see if a repair is possible. If it is, we will perform the repair quickly and affordable, using only the highest quality parts and workmanship. Many of the most common household appliances to break down are found in the kitchen. The garbage disposal is commonly damaged from overuse, or if it has not been cleaned for some time. Ovens and ranges can be extremely expensive to replace. Repairing these appliances is always the preferred option. If you have any questions at all, or would like to schedule an appointment, call us today. We employ some of the leading appliance repair Weber County experts.